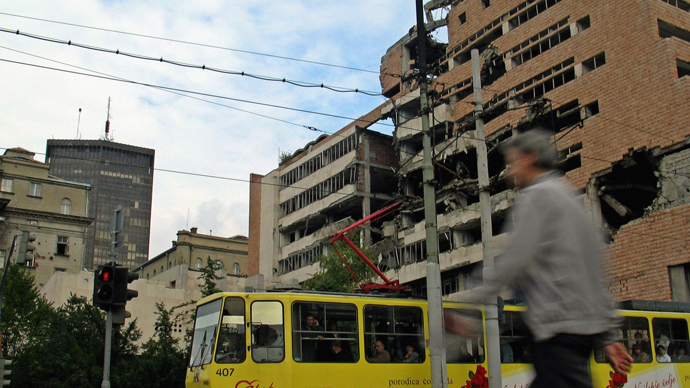 Years on, Serbia still bears deep scars of the NATO bombings which, as the alliance put it, were aimed at “preventing instability spreading” in Kosovo. Questions remain on the very legality of the offense, which caused casualties and mass destruction in the Balkan republic. News correspondents Anissa Naouai and Jelena Milincic, the authors of RT’s documentary ‘Zashto?’ – which means “Why?” in English –traveled through former Yugoslavia to Belgrade, Kosovo, and Montenegro and spoke to people who endured the atrocities and horrors of the war and lost their friends and relatives. 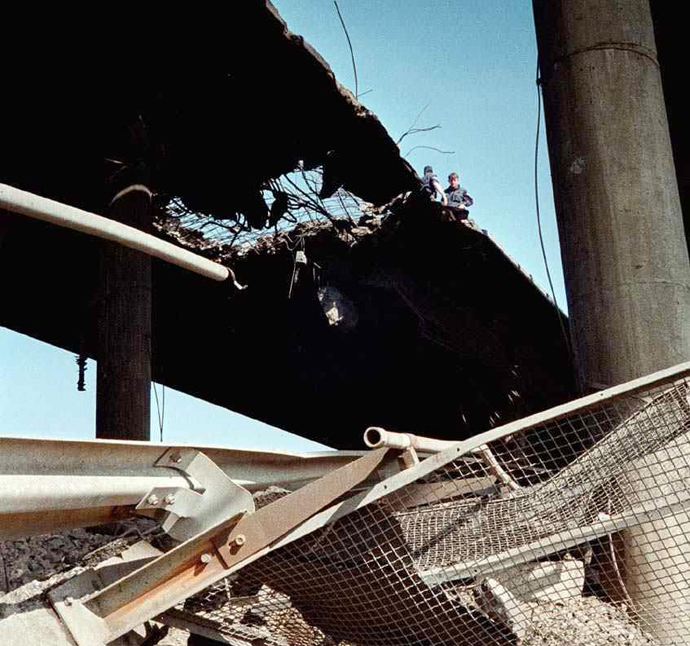 “There is a bridge near the city of Nis, which was bombed at the time when a passenger train was passing through it,” Milincic recalls.The tragedy on April 12, 1999 killed 15 people and wounded 44 others, while many passengers were never accounted for. “We felt the blast and saw flames under the locomotive. The train was blown so powerfully, half a meter from the ground. I don’t know how we stayed on the rails,” recalled witness Boban Kostic. “Our colleague got off the train when I did,” he said. “He was really scared. But another rocket hit and blew him to pieces,” added another witness, Goran Mikic. “Why? Why civilians? Why a train?” said Dragan Ciric. “It still torments me, if the first rocket was a mistake, what were the next three for?” he told RT. 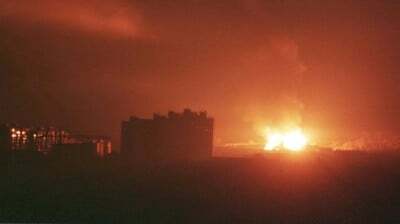 The Chinese embassy in the Yugoslav capital of Belgrade was also hit and set on fire by NATO airstrikes on May 7, 1999. Three citizens of the country were killed. The alliance called the attack “a mistake.” China is a permanent member of the UN Security Council and, along with Russia, did not support a military solution for the Kosovo crisis. Prior to the military assault, the Milosevic regime was accused of “excessive and disproportionate use of force in Kosovo.” But was the force that NATO used when bombing the sovereign state’s territory proportionate and restrained? Rights organization Amnesty International accused the allied forces of committing war crimes. “Indications are that NATO did not always meet its legal obligations in selecting targets and in choosing means and methods of attack, On the basis of available evidence, including NATO’s own statements and accounts of specific incidents, Amnesty International believes that – whatever their intentions – NATO forces did commit serious violations of the laws of war leading in a number of cases to the unlawful killings of civilians,” the rights watchdog said in a report published in June 2000. The alliance dismissed the accusations, saying that cases involving civilian deaths were due to technological failure or were simply “accidents of conflict.” NATO failed to say that they were due to the alliance’s own failure to take all necessary precautions. “We never said we would avoid casualties. It would be foolhardy to say that, as no military operation in history has been perfect,” said Jamie Shea, NATO’s chief spokesman, the Guardian reported at the time. Former NATO Secretary General Javier Solana ordered military action against Yugoslavia following a failure in negotiations on the Kosovo crisis in France’s Rambouillet and Paris in February and March 1999. NATO’s decision was officially announced after talks between international mediators – known as the Contact Group – the Yugoslav government, and the delegation of Kosovo Albanians ended in a deadlock. Belgrade refused to allow foreign military presence on its territory while Albanians accepted the proposal. However, despite not announcing the link officially, NATO entered the conflict on the side of the KLA, accusing Serbian security forces of atrocities and “ethnic cleansing” against ethnic Albanians in Kosovo. The main objective of the campaign was to make Milosevic’s forces pull out of the province. The fact that there was violence on both sides of the confrontation was ignored both by allied governments and Western media – which stirred up public anger by focusing only on Serbs’ atrocities and being far less vocal regarding abuses by Albanians. 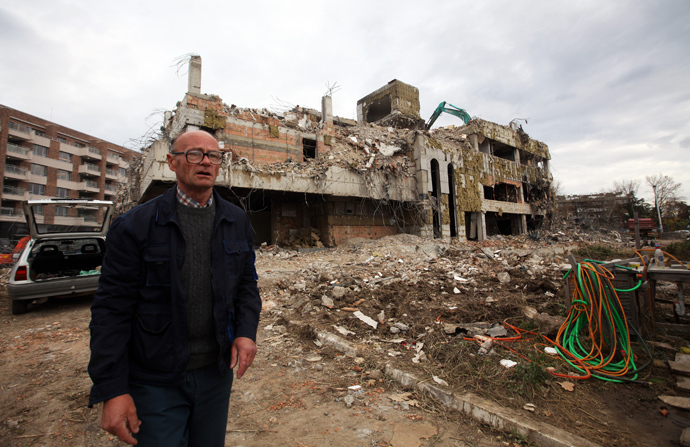 An incident involving the “mass killing” of Albanians in central Kosovo’s village of Racak – a KLA stronghold – became a major excuse and justification for NATO’s decision to start its operation. 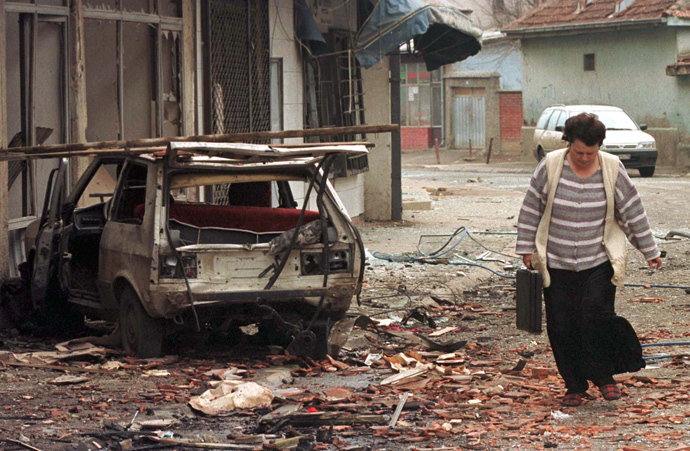 Serbs were blamed for the deaths of dozens of Albanian “civilians” on January 15, 1999. However, it was alleged that the accusations could have been false and the bodies actually belonged to KLA insurgents whose clothes had been changed. A central role in labeling the events in Racak “a massacre” belonged to William Walker, who headed the OSCE Kosovo Verification Mission. He visited the site shortly after the incident and made his judgment. “[Walker] arrived there having no powers to make conclusions regarding what had happened,” Russian Foreign Minister Sergey Lavrov said in an interview with Rossiyskaya Gazenta paper in November last year. Yugoslav authorities accused Walker of going beyond his mission and proclaimed him persona non grata, while Western leaders were infuriated over the Racak incident. “And some time later the bombing started,” Lavrov recalled, adding that the situation in Racak became the “trigger point.” Moscow insisted that an investigation should be carried out. The EU commissioned a group of Finnish forensic experts to prepare a report on the incident. Later, the European Union handed it over to the International Criminal Tribunal for the former Yugoslavia, Lavrov said. The full version of the document has never been made public, said the minister, who was Moscow’s permanent representative to the UN between 1994 and 2004. 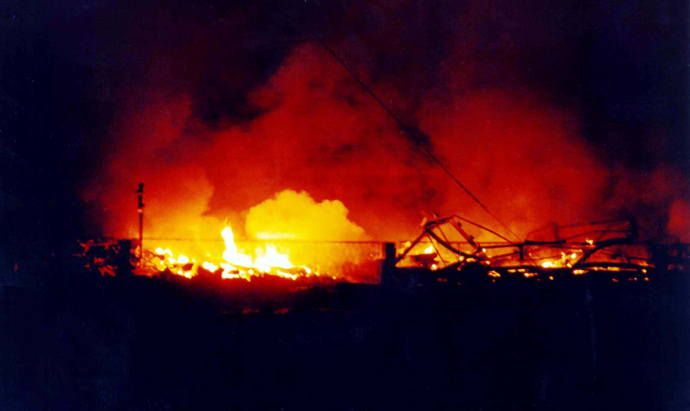 NATO halted its air campaign with the signing of the Military Technical Agreement in Kumanovo on June 9, 1999, with the Yugoslav government agreeing to withdraw its forces from Kosovo. On June 10, 1999, the UN Security Council adopted resolution 1244 to establish the UN Interim Administration Mission in Kosovo (UNMIK). In August 2013, Amnesty International accused the UNMIK of failing to properly investigate the abductions and murders of Kosovo Serbs in the aftermath of the 1998-1999 war. “Years have passed and the fate of the majority of the missing on both sides of the conflict is still unresolved, with their families still waiting for justice,” the organization said. Moscow’s former envoy to NATO (1997-2002), Viktor Zavarzin, believes the military alliance’s aggression was “a crime against humanity” and a “violation of international laws and norms.” The event that unfolded 15 years ago laid ground to a new era of the development of international relations – the era of “chaosization of international law and its arbitrary manipulation,” Zavarzin, an MP for the United Russia party said at the State Duma plenary session on Friday. Michael McFaul, who recently quit the post of the US Ambassador to Russia, tweeted his reaction to RT’s NATO bombing anniversary coverage, pointing to dramatic growth in Serbia after Milosovic was ousted. However, the cost of NATO’s bombardment was estimated at billions of US dollars. Former countries of Yugoslavia did see a growth of their GDP in the beginning of the 21st century, reflecting global growth, but like almost all emerging economies, suffered a drastic fall in 2008.